Fig has added Randy Pitchford, one of the founders of Borderlands studio Gearbox Software, to its advisory board. There’s no need to open up your wallet when you check out our list of the best free games on PC. Fig is a crowdfunding and investment platform for games development, launched in 2015 as a “democratized publishing” scheme for videogames. While in some ways similar to other crowdfunding sites like Kickstarter, Fig is focused exclusively on games and allows backers to become investors and share in a game’s eventual profits. Its board includes Double Fine CEO Tim Schafer, inXile Entertainment CEO Brian Fargo, Boss Key Productions’ Cliff Bleszinski, and other notable games publishing figures. Pitchford’s career in games dates back to Apogee Software and 3D Realms, where he worked on the “Atomic” edition of Duke Nukem 3D and the original Shadow Warrior. 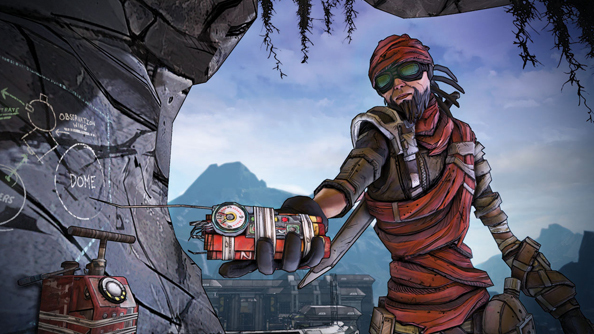 While Gearbox has made a couple high-profile missteps – notably with Battleborn and Aliens: Colonial Marines – the company has also been responsible for several massive successes, including the Borderlands and Brothers in Arms series. Prior to his career in games, Pitchford worked as a professional magician in California. “My expectation is that Gearbox Software and Gearbox Publishing can help inspire more developers to discover the Fig platform while also encouraging our audience of millions of gamers to become micro investors or otherwise support their efforts,” Pitchford said.